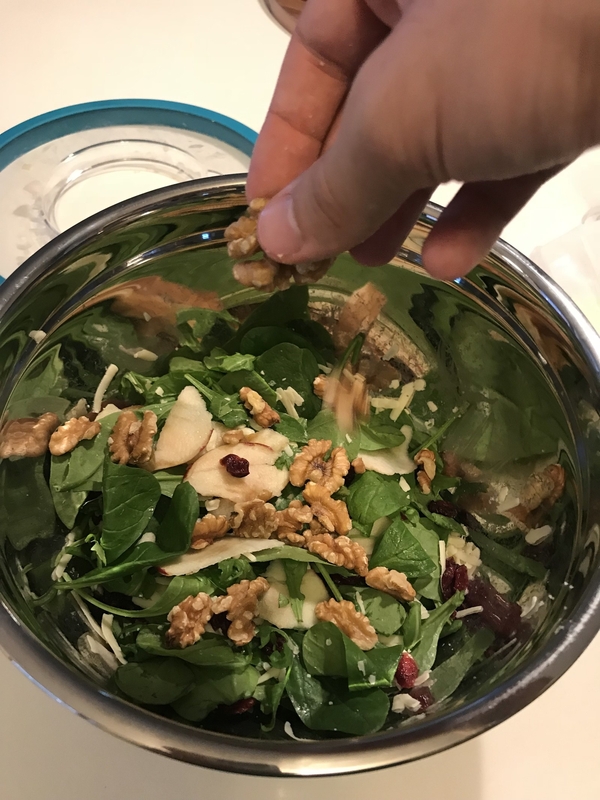 Listen, if you've already worked up the motivation to meal prep for the week, you shouldn't have to deal with a huge cleanup too. You're already KILLIN' IT just by cooking for Future You. At least that's what I'd tell myself every Sunday night, slowly backing away from my dishes — until I started using this MEAL PREP BOWL. I...can't stop staring at it?? What's so special about it, you ask? 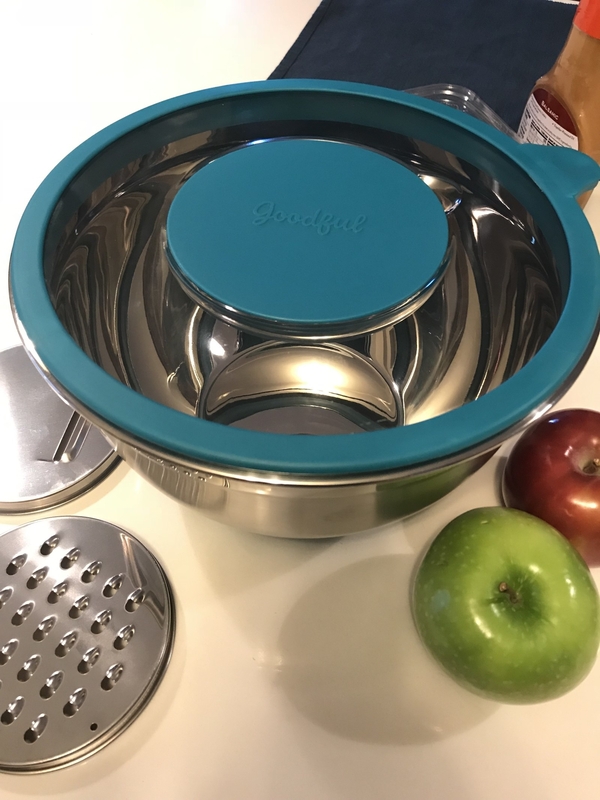 WELL, this bowl, which is part of the new Goodful x Macy's collection, has a lid with a cutout in the center where you can attach three different inserts that grate and slice. 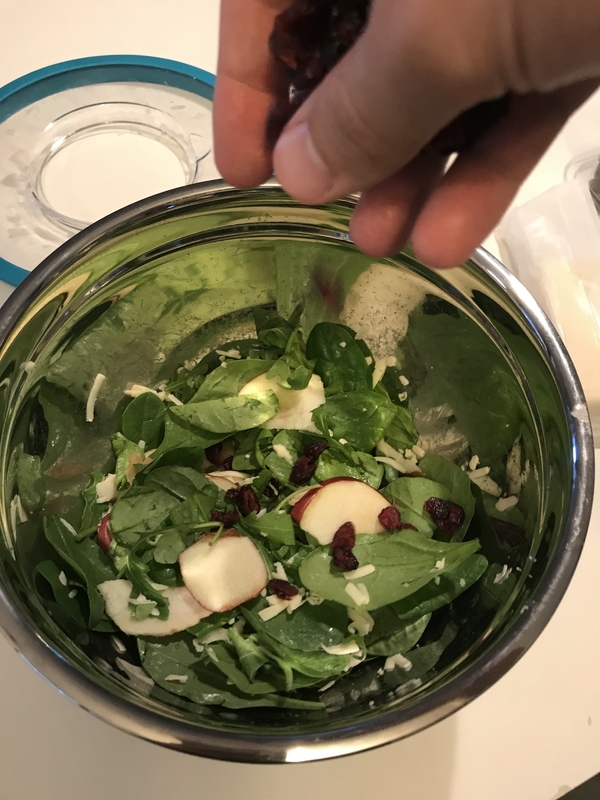 So, if you're looking to zest some fruit, grate a lil' cheese, slice a bunch of veggies — you name it — this bowl's gotcha covered. Box grater, who?? Literally throw yours in the trash (JK — donate it) and never let it get stuck inside your kitchen drawers again. This lil' insert is all you need. 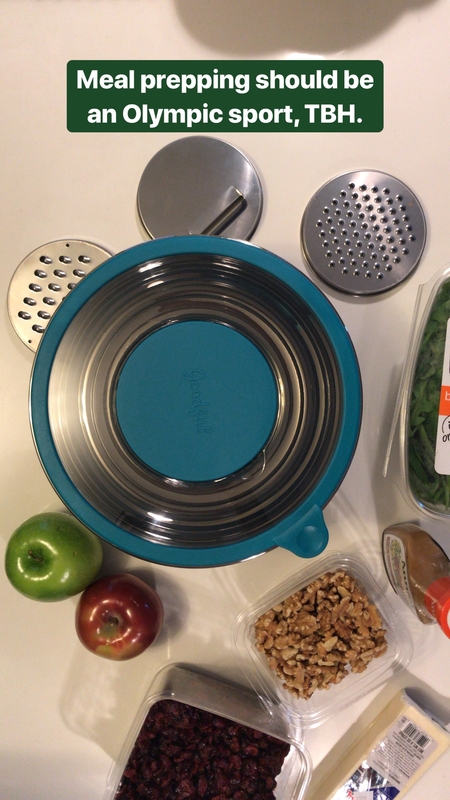 The slicer also means business: It's great for everything from a small radish to a sizable apple. Check out those perfectly thin slices! And it does all of this inside one stainless steel bowl. No extra dishes or tools to prep your meal. Literally just...this one bowl. Also, I really love that I can put the lid on and shake the bowl like crazy to get that perfect distribution of mixings without worrying that they'll go flying and become a floor feast for my dog. 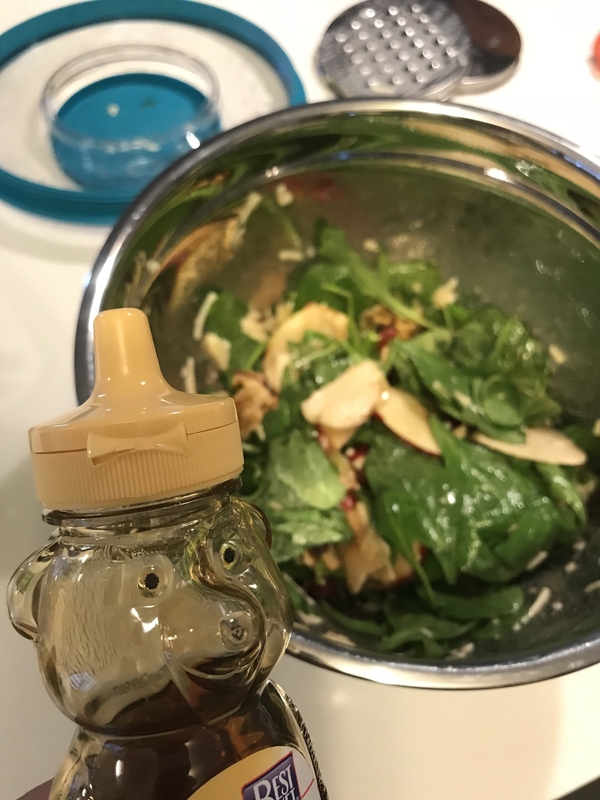 You can even fit a big spoon or hand-mixer through the lid's cutout, and the lid will act as a splash-guard while you mix up your creation. Genius! 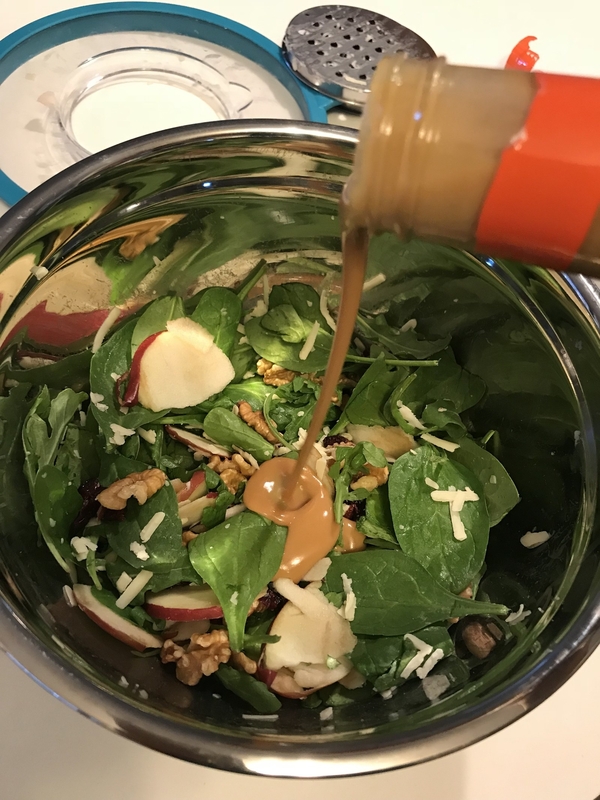 If you couldn't tell where all these photos have been leading, I made an apple, walnut, cranberry, and cheddar salad (fall salads are the best, don't @ me) and my kitchen didn't look like a bomb went off! 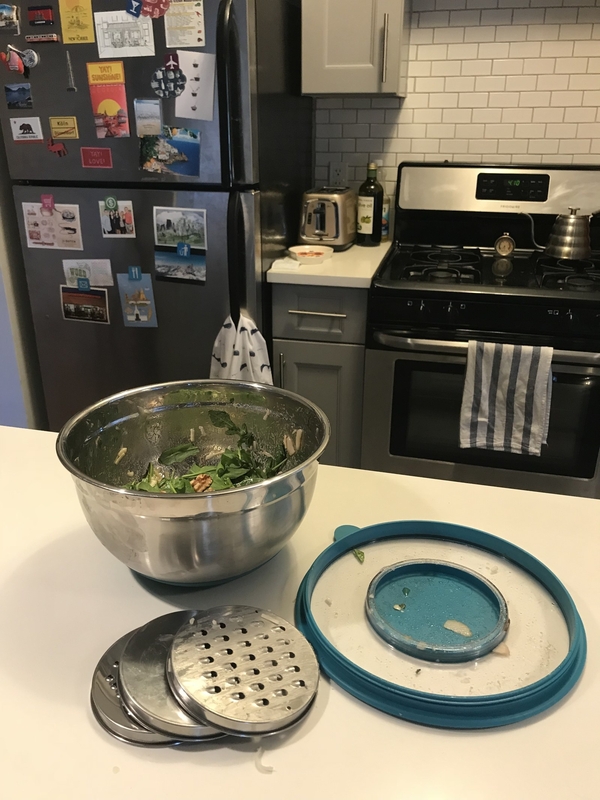 If I have leftovers, I don't have to transfer them to any other containers — I can just pop the lid back onto the bowl, put on the storage insert, and place it in my fridge. It also has a silicone base, so I don't fear any spillage in there either. When it's time to clean the bowl, it can all go straight into the dishwasher. 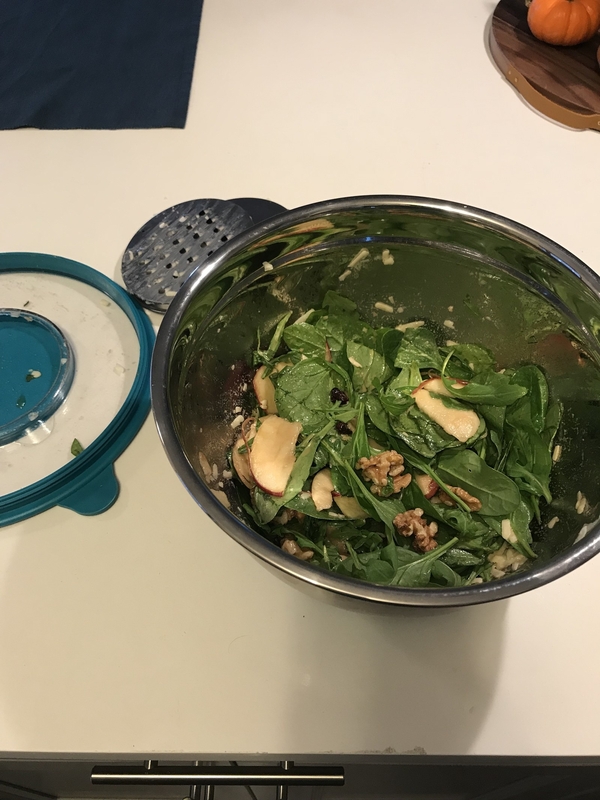 So, for all my meal-preppers out there, I salute your efforts, and highly recommend you make the process even easier with this bowl that cuts down cleanup time by, like, 89%*. *Not an actual statistic, I'm just excited. Get it from BuzzFeed's Goodful collection exclusively on Macy's for $29.99 (on sale from $42.99).